When I hunted as a kid, I never even saw a deer. My dad hunted for years before I ever went with him and he never saw a deer either. Then on the drive home, we would see truck after truck with deer strapped down, sometimes more than one. Why did those hunters succeed? The bigger question should have been why did we fail? Assuming that you have shot a gun in your life, I will forego how to shoot a gun to give you tips on how to actually be in a position to get a deer. To get a deer, you must first see a deer. That is the biggest challenge because you can be the best shot in the world and never get one. On the other hand, you could be the worst shot in the world and get a deer if one walks right in front of you. Then all you have to do is point and fire. To put some things into perspective for you on this, imagine if you were in your house and a blind man who couldn’t hear or smell and used a walker came into your house once a year. Add that he moved around very loudly, wore bright orange, and smelled so bad it made you want to hurl. You would know your house like the back of your hand and he gets lost and walks into walls. You would laugh at him because he wouldn’t stand a chance, would he? Oh, maybe he would get lucky and after an afternoon of going on about your business you would slip up and forget he was there (yeah right). You may go into the kitchen where he was waiting in your refrigerator and when you open the door to get a sandwich, he would kill you. Well, that’s how it is for the deer. We are at a total disadvantage in their house. When you hunt an animal that has such advantages over you, you must then out think the animal…that is our advantage…our brains. Knowing the animal you are hunting can help give you the edge. It can put you in the right place at the right time. Just like every animal in the world, deer have defenses. To be successful, you MUST beat these defenses. Knowing that you will never ever sneak up on a grazing deer is essential to getting one. 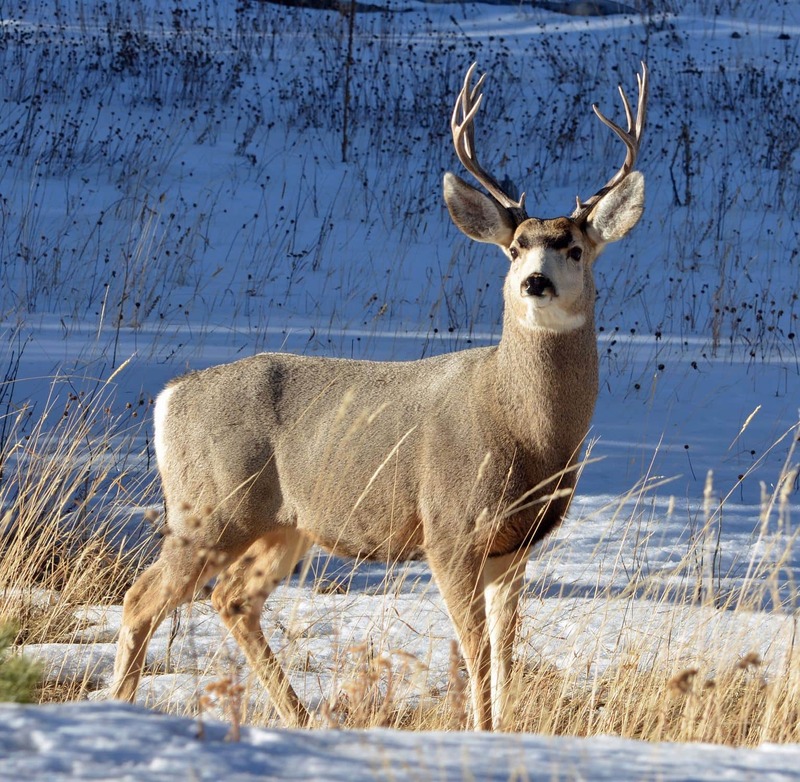 Here are some tips to put yourself in a position to see a deer when hunting. Know that a deer can definitely see you, especially when you are wearing blaze orange. Contrary to some people’s belief, there is more evidence to support that a deer can see color than there is against it. Some think it was to promote the use of the unpopular hunter orange garb. But humans can definitely see it, that is it’s purpose, (Read A Study On Deer's Ability To See Blaze Orange by The Southern California College of Optometry), so always keep in mind that wearing blaze orange is for safety. There are a lot of idiots out there during hunting season and people get shot by accident every single year, so make sure you follow the safety rules. Wisconsin requires that 50% of your garments above the waist need to be solid hunter orange. You can research other states by going to The International Hunter Educational Association’s website. Deer have their eyes on the side of their head, which gives them a view of 310 degrees. It makes it hard for a deer to focus on a single point, so use that to your advantage by sitting somewhere where the trees or brush break up your outline. Just make sure you give yourself the ability to take a clean shot. 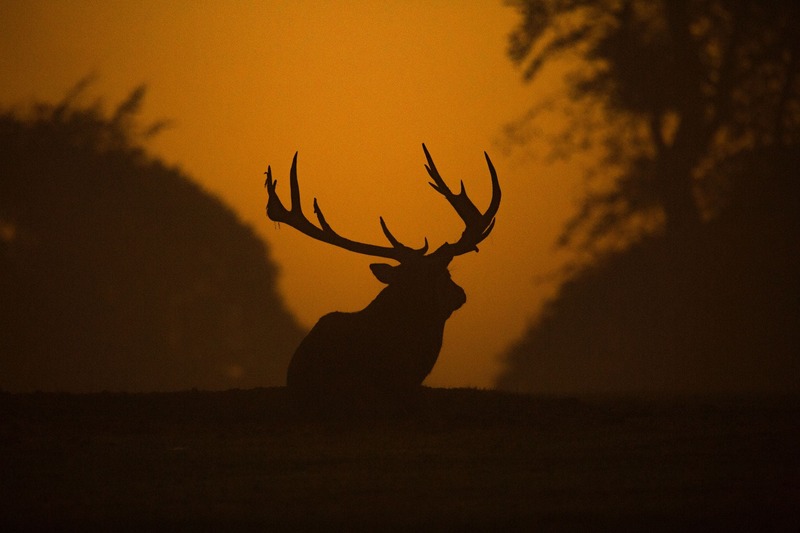 Deer have good night vision, which is why they are active at night, particularly in the early morning and near dusk. You can’t hunt at night. First it is not safe, and second, it is illegal (probably because it isn’t safe). The rule is sun up to sun down. That does not mean your version of what sun up or sun down is, that means the actual times. So to take advantage of that knowledge by getting out into the woods as early as possible and leave as late as possible. Deer have a great sense of hearing and have a lot of muscles that allow them to turn their ears in any direction without moving their head. They can also hear higher frequencies of sound than humans. On a non-windy day, a deer can hear clumsy humans from a quarter mile away. 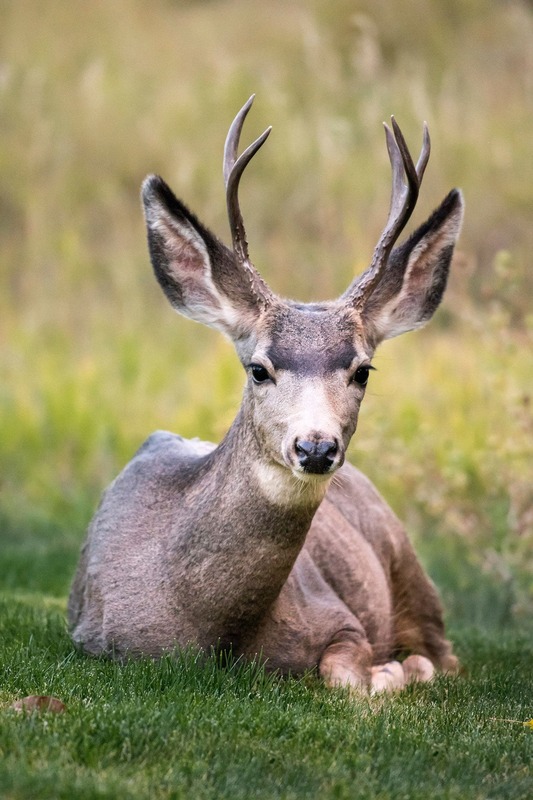 If a deer hears you making noise, it typically takes up to two hours for them to come back. Hunting can be very boring because most of the time, you just sit there. But be patient, they will come back, but you have to sit tight and be quiet. Avoid too much noise by setting up your sitting arrangement a day or two before opening day (if you can). Unnatural sounds like metal clanking or the sawing of wood are a dead giveaway. Make more than one sitting spot. On public land, your spot might be taken by a rude fellow hunter. In addition, the wind might be wrong for that spot, so be prepared in either case. Step carefully and walk quietly (almost stalk) on your way to your spot. Avoid stepping on sticks if you can. If you do crack a stick, wait for a minute. The deer may think you are another animal. Listen before taking another step. Complete silence is bad, that means other animals are on guard (especially deer). Then, wait a minute, take another step, stop and listen, and then continue. This may seem tedious, but a person rumbling through the woods might as well be a band playing. Controlling scent is the most important factor of hunting. Some day, when you have some extra time on your hands, take a deep sniff of a smell that you really hate. It can be cigarettes, a sewer, a farm or whatever. Now imagine that your sense of smell is 20 times greater than it is. So if you can smell that farm smell you hate from 100 yards away, you would now smell it from 2000 yards away just as clear. I hate to break this to you, but you are the farm. A deer has 20 times the smell capability that we do and can smell a human being a mile away. In addition, they can smell your scent on the ground and in the air. When you walk, you leave your human scent behind on the ground and on the plants you pass by. This tells a deer that you are there and what time you got there (to the hour). This allows them to determine if you are a threat or not, but keep in mind that that during hunting season, they will just automatically put you in the threat category. To prevent leaving a scent on the ground, you can try wearing rubber boots instead of leather ones. Leather boots retain scent and leave it on the ground when you walk. There is nothing on rubber boots that hold odors. Spray the bottom of your boots with either scent block or deer urine. Make sure if you use deer urine (Doe urine during rut-otherwise scent block will be fine) that it is a spray bottle that doesn't expose it to air because it’s smell changes within about 20 minutes of exposure. A deer will “smell” a rat if you will. If you do spray urine on, do it after you spray the scent block or it is a waste of time and money. They can actually smell layers of scent. If a deer can smell you in the air, he won’t come anywhere near you. To combat this, take a shower in the morning of the hunt with scent block, and then dry yourself with a towel that wasn't washed with scented detergents. Also, wash your hunting clothes with scent block, then, in addition, spray yourself down with more…all over and completely. Anything untouched by scent block will be detected. In addition, help yourself out by paying strict attention to wind direction. If you have the wind at your back, you won’t see a deer in front of you. You want to be downwind of your target area (your predetermined line of fire). Have a couple of sitting spots ready and you will save yourself a lot of aggravations, and you might even see a deer. Nothing will kill a potentially great day of hunting faster than if you get cold. Most hunting garb is pretty warm, but having warm boots, warm gloves, wearing layers of warm clothes under your hunting jacket and wearing heated sox is an extra step that will ensure less misery in the woods. Whenever you can, scout the area before hunting season. Think like a deer. They eat, they drink, they defecate and they mate. But when? Where? And what? Depending on time of year, you should always be able to find indicators and evidence that they were there and when. Different times of year put them in different home ranges. Deer groups are usually all female, and the same group will travel to different areas by as much as 30 miles. AND, where does are, bucks are soon to follow, especially during rut. Make sure not to focus on a specific animal, just focus on deer in general. 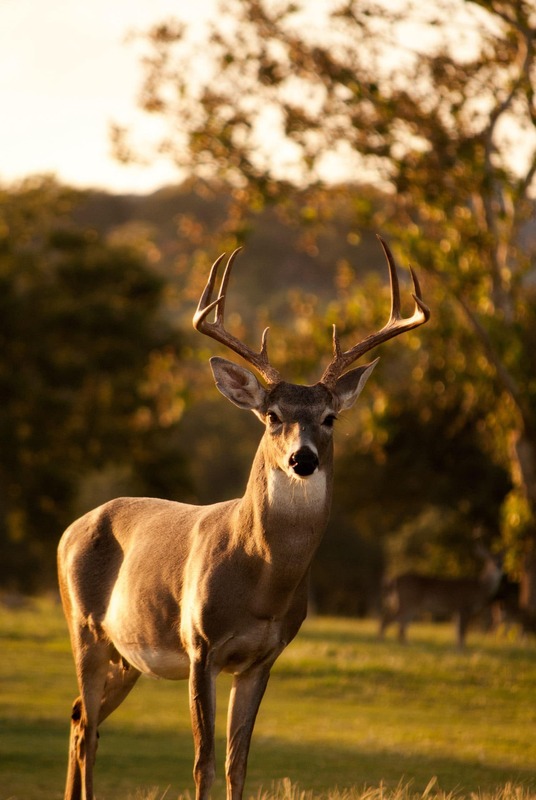 Believe it or not, one of the best places to find deer is not necessarily in the woods, it is in agricultural fields (corn, soy beans, and fruit), but usually only during harvest time. During other times of the year, they may be in an area where berries are growing wild or where an abundance of acorns are falling. Deer also eat grass, leaves, stems, shoots, herbs, acorns, mushrooms and fruit. Find those food sources and you will likely find deer. Look for patterns. One trick I learned in farm areas is to follow a trail into the wild area that runs parallel to a field. That is a feeding trail. You should find another trail that intersects it. Find a spot nearby that gives you a clean shot of that intersection. This doesn’t ensure success, but it is a good start. When it is cold, deer don’t eat as much and are less active. When it is really cold, they will go into the thick woods to escape cold winds. One thing is for certain, deer will always need water, so if you find their water source, you will increase your chances of seeing deer. Bucks mark their territory by scraping trees and bushes with their antlers and digging ruts in the land with their hooves and then urinating. The tree scrapes are easier to find, just look for missing bark and scrape marks. If you will be on public land, do yourself a favor and find a spot deep in. 90% of hunters hunt within a couple of hundred yards from the access road. You definitely want to avoid crowds because the more people there are, the less likely you will see a deer. All the work you did to set up a good spot, keep quiet, eliminate scent, etc. will all be for naught if the guy 50 yards away didn’t do the work. The deer will go where the people aren’t. Realize that hunting is fun, but actually getting a deer is 33% hard work, 33% knowledge, and 33% luck. These tips may help you quickly learn the information that took me years to acquire. Good hunting.